Eskom supports getting power from independently-run coal projects rather than renewable sources. Renewable energy sources are way cheaper than fossil fuels like coal and nuclear. This is according to a recent presentation by the head of CSIR's Energy Centre, Dr Tobias Bischof-Niemz, and Ruan Fourie, energy economist at CSIR's Energy Centre. Power utility Eskom supports getting power from independently-run coal projects rather than renewable sources as the state-owned company expects current generation will be insufficient to meet demand by 2022. Energy minister Tina Joematt-Pettersson recently announced the successful bidders for the first coal-based independent power producer (IPP) programme. Coal is SA's dominant energy source, with 77% of the country's energy needs being provided by this mineral. SA is also proceeding with plans to expand nuclear as a source of energy, although the issue has been contentious amid allegations that individuals close to the president and groups linked to the ruling ANC have significant financial interests in the matter. In a study about the cost of new power generators in SA, Bischof-Niemz and Fourie argue that "we now know from transparent, tariff-based procurement processes what the cost of new solar PV, wind and new coal baseload is. The result - new PV and wind is 40% cheaper than new baseload coal." The study provides a comparative analysis for new power in SA based on recent coal IPP bid price announcements by the minister of energy on 10 October, and other data. 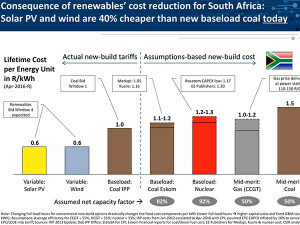 They say the photovoltaic (PV) wind and coal IPP tariffs are fully comparable, because they are all based on long-term take-or-pay contracts with the same off-taker (Eskom), and (after adjustment) the same CPI-escalation. 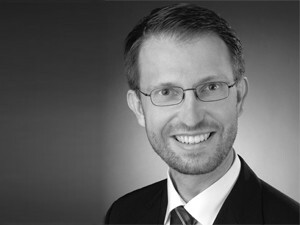 Responding to ITWeb's questions on the study, Bischof-Niemz said: "The IRP 2010 provided for significant capacity additions of renewables by 2030, and a large part of that plan has already been determined for procurement. "The actual costs achieved in the renewables procurement programme for solar PV and wind are significantly lower than what was assumed in the IRP 2010. Therefore, it is a no-regret move to adjust the long-term targets for renewables upwards." He argues that renewables such as solar PV and wind are a 'mass manufacturing play'. "The more one does it, the cheaper it gets. Extracting fossil fuels from underground is a 'resource play'. The more one does it, the more expensive it gets. Because of these underlying fundamentals, the recently reached tipping point of solar PV and wind being significantly cheaper than coal will be impossible to reverse ever again." Eskom CEO Brian Molefe recently criticised renewables as having "failed" the power utility by not providing the necessary power to avoid load-shedding at the right time of day. However, Bischof-Niemz notes that in principle, there are two different types of power generators - those that provide bulk energy, and those that provide load-following and peaking capabilities. The providers of bulk energy must be cheap (in R/kWh), the others must be flexible, he adds. On average in SA, solar PV contributes more to the morning peak and wind contributes more to the evening peak, says Dr Tobias Bischof-Niemz, head of CSIR's Energy Centre. According to him, historically, the providers of cheap bulk energy were base-supply power generators such as large coal and nuclear power stations. The providers of flexibility were smaller coal, gas and diesel power stations. "The base-supply power stations do not contribute to meeting the peak demand because they cannot ramp further up when the customer demand increases. The peak demand is met by the flexible (and more expensive) part of the fleet of power generators." He points out that the logic is still similar today, just that the providers of cheap, bulk energy have changed. "They are now solar PV and wind. The new optimal mix is, therefore, cheap but variable (solar PV and wind) combined with more expensive, but flexible power stations." Bischof-Niemz says when comparing base-supply power generators with solar PV and wind, it is noteworthy that on average in SA, solar PV contributes more to the morning peak and wind contributes more to the evening peak than a base-supply power generator. In addition, wind power reduced the total system peak demand by 500MW in the first six months of 2016. 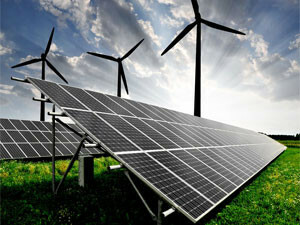 In order to drive renewable energy use in SA, he urges policymakers to set clear long-term targets for renewables energy shares in the electricity and in the wider energy sector; for example, 40% of renewables energy share in the power sector by year 2030. "From these long-term energy targets, derive build-out plans for solar PV and wind over the next 15-25 years. These build-out plans should be designed such that they lead to a relatively steady annual deployment (eg, 2GW of wind and 2GW of solar PV per year) in order to give predictable, constant loading and investment certainty for the upstream value chain (manufacturing)." He also urges the country to procure a certain percentage, say 50%, of the annual new-build targets through competitive procurement programmes for utility-scale, large wind and solar PV farms. Deploy the other 50% through standard-offer-based programmes for small and medium wind and solar PV plants (down to small rooftop), in order to allow a widespread peoples-ownership base of the assets, he adds.